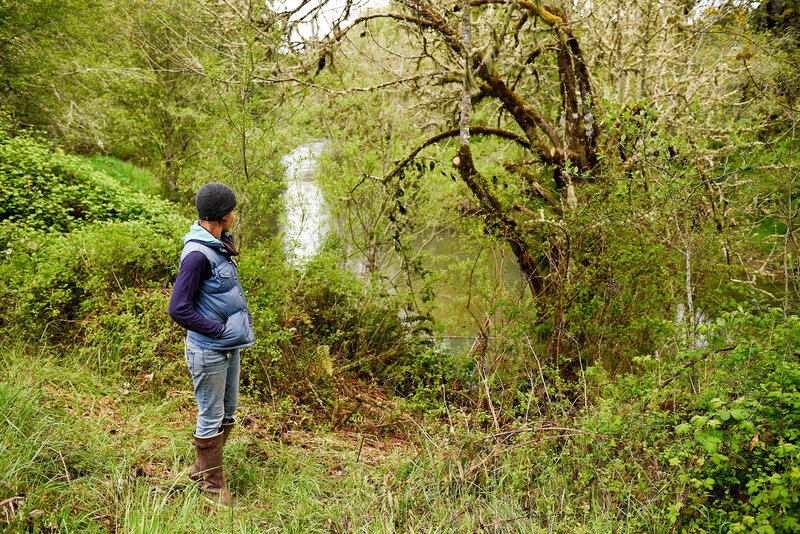 Eight years ago, Beth Hoinacki began an ecological transformation on her farm in Kings Valley Oregon. But she didn’t do it alone. With support from the USDA Natural Resource Conservation Service (NRCS), Goodfoot Farm — certified organic and biodynamic — aligned recommended conservation practices with her already principled approach to farming. “Biologically diverse systems are, by nature, systems in balance; that, in turn, leads to productive [farm] systems,” said Hoinacki. From 2009-2015, two consecutive three-year NRCS contracts permitted Hoinacki to make structural improvements and conservation-focused changes at her farm. Before receiving NRCS support, a ditch in the center of her property connected water from the Coast Range runoff to the Luckiamute River. Hoinacki described issues of erosion, noxious weeds, and runoff increasing sediment in the river. Funding through the Environmental Quality Incentives Program (EQIP) enabled NRCS to work closely with Beth and her husband to design and engineer a grassed waterway. The changeover decreased soil loss and weeds while improving the farm’s accessibility. Located in Oregon’s Coast Range, surrounded by wild areas, Goodfoot Farm is in an ideal spot for promoting on-farm conservation. Hoinacki acknowledges not all farms may not be so fortunate. However, access to NRCS staff and financial support across the U.S. can help them improve their farms just like she did. 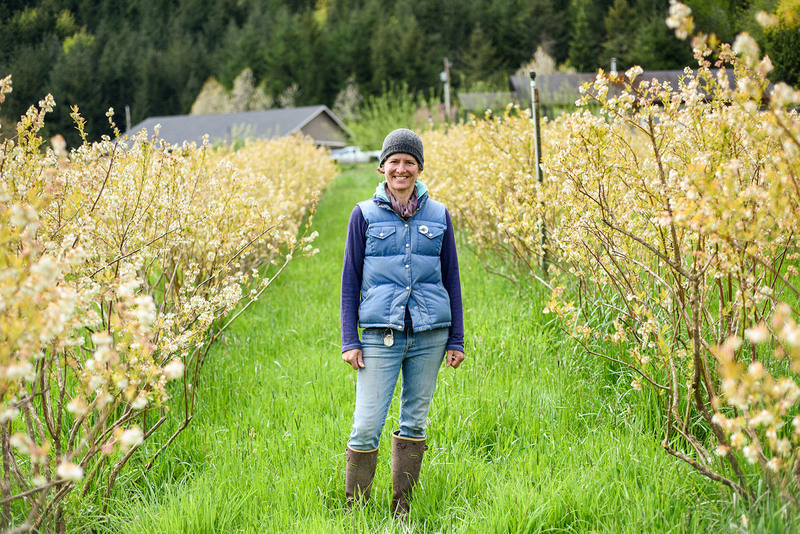 Hoinacki worked with NRCS to enhance biodiversity on her farm — a core requirement for her organic and biodynamic certifications. Together, they installed a hedgerow and native plants, which attract pollinators responsible for her one and a half acre blueberry plot, as well as nearby fruit trees. Each farm is different, and conservation goals of a farm often reflect the place and people. A farm in a low precipitation zone may be more focused on preserving soil moisture, while a farm with fruit trees may want to attract native pollinators. For organic farmers, conservation is an integral part of their practice. 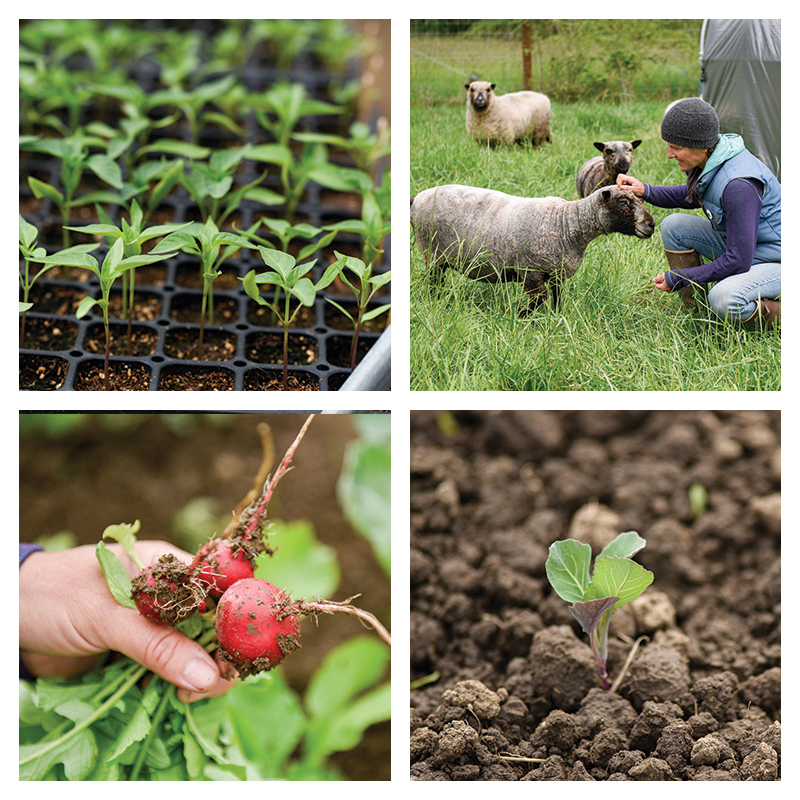 Between organic’s focus on soil stewardship and biodiversity and the USDA Natural Resource Conservation Services’ (NRCS) mission to “help people help the land” a partnership between Oregon Tilth and NRCS is only natural. 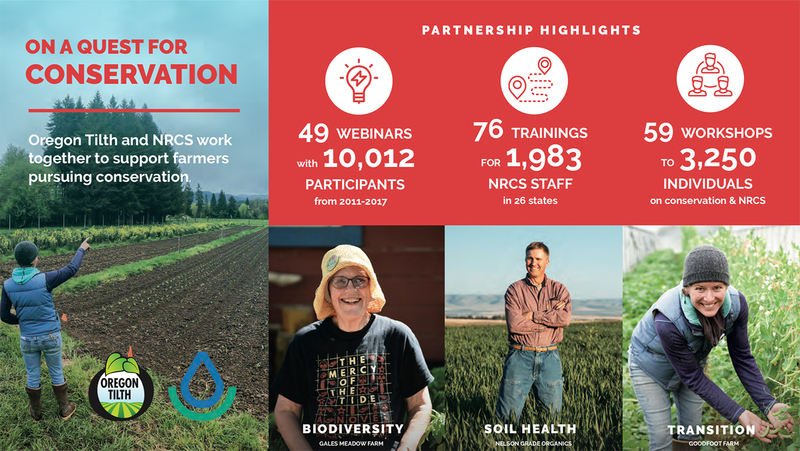 NRCS and Oregon Tilth partner to offer conservation know-how to a wider range of farmers, as well as boosting professional development on organic practices for conservation specialists. Together we assist more farmers in becoming better land stewards for future farmers and generations. Want more conservation content? We’re sharing it this story and more on our Instagram.